Teaching children how to manage their emotions and respond appropriately to the emotions of others is an important part of education. 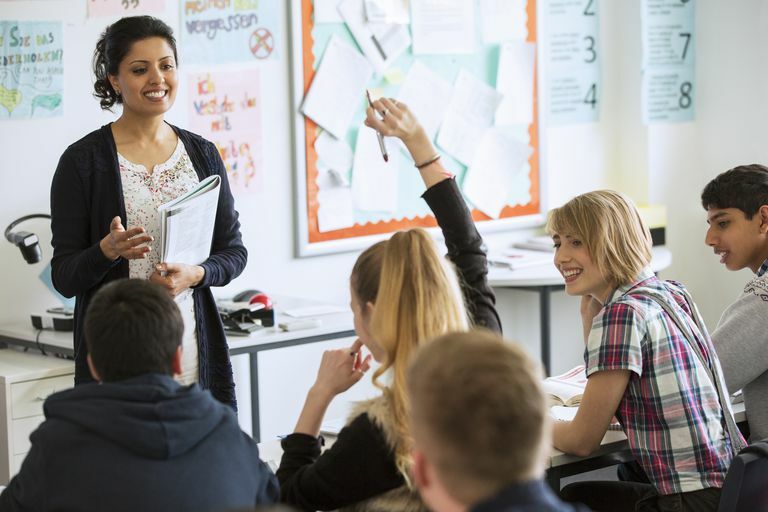 To accomplish this task, many educators are incorporating social and emotional learning (SEL) programs into the curriculum. These programs are not only effective in improving students’ emotional intelligence, but SEL programs also prevent bullying and increase academic success. What’s more, integrating SEL into daily lesson plans helps students understand how to behave with their peers. But most importantly, students begin to realize that their emotional intelligence is just as important as their academic success. Emotional intelligence enables students to have positive interactions with others, to anticipate their feelings and to experience appropriate levels of empathy. And later in life, people with high EQ earn the trust of their superiors, make their colleagues feel valued and attract admirers wherever they go. Just like any other form of teaching, early experiences and education can help kids master the fine art of relating to other people. Here are eight ways you can help your students learn this valuable skill. Embed social and emotional learning into your teaching practices. Instead of doing a lesson specifically on social skills or emotions, try incorporating these lessons into what you are already teaching. For instance, in science, if you are discussing molecules, you also could ask students what forms good partnerships. Another option might include reading a book or discussing a history lesson about a socially challenging situation. Engage your students in a conversation about handling social problems. Then the lesson becomes about literacy, history and social and emotional learning. Engage students in problem-solving. Whether it’s helping solve a difficult math problem or developing a set of class rules at the beginning of the year, engage kids in all types of problem-solving. For instance, if kids are having trouble waiting their turn in class ask students “Can you think of a way that will help you remember to wait your turn?” You also could ask older students input on bullying at school and what they think the school should do to address it. Often the best ideas for dealing with issues come from the students themselves. Group projects are a useful way to teach students how to work together, which is a skill they will need in many areas of life. Instill perseverance and determination. Self-motivation is a key component of social and emotional learning and a necessity for kids to accomplish things in life. While there are many students who will naturally strive to better themselves in some way, there are other students who need a little more coaching in this area. Remind students that to experience success they must put forward effort and perseverance. And if you see students making a really strong effort but still falling short of the grade, praise them for their hard work and encourage them to keep trying until they master it. Remember, each student should be encouraged to set some goals so that they can feel a sense of accomplishment. This helps offset negative thoughts and encourages kids to dig deep and find the determination to succeed. Model and impart respect. Learning to be respectful toward others is an important life lesson. Obviously, the polite use of language and encouraging children to imitate your behavior is one of the best ways to model respect. You also can model respect by being mindful and valuing children’s cultural and language backgrounds. Encourage your students to do the same. They should learn to be respectful of one another even when they are different or disagree. Remind them that they don’t have to agree with someone in order to treat them with respect. Remember, instilling respect also prevents bullying and is an important part of education. Incorporate character education. Character education encourages the development of ethical and responsible students. Teach your students the importance of having good values, being honest, being trustworthy and taking responsibility for their actions. Give your students opportunities to develop and hone these skills in the classroom. Discuss these skills during history lessons and during reading activities. Engage kids in thinking about ways in which they can become more responsible or trustworthy in the classroom. Then, allow them to put those ideas into practice. Be sure to acknowledge ethical and honest behavior, especially when students take responsibility for negative actions. This doesn’t mean they should escape discipline, but simply acknowledge the value of being honest. Encourage students to develop and share opinions. Teachers should seek their students’ opinions, allow them to initiate activities and be flexible when responding to their ideas. Doing so builds a sense of competency in the students and increases their desire to learn. They also are less likely to struggle with envy and jealousy. Envy is often at the root of bullying, especially when it comes to relational aggression and mean girl behavior. Impart resiliency. Research shows that students who are more resilient are more academically successful. They also bounce back quicker, are mindful of their opinions, and understand their beliefs, all of which gives them a strong sense of who they are. And when resilient kids are bullied, they are less likely to suffer as many consequences as kids who are not resilient or secure in what they believe. Stress empathy and caring behavior. One way to encourage empathy is to frequently challenge students to put themselves in another person’s shoes. During lessons ask questions like “What do you think he was thinking?” or “How do you think she was feeling?” Empathy helps kids develop positive relationships, which is the cornerstone of social and emotional learning. Encourage your students to listen to others and ask them to try to understand how others might be feeling. How Can Parents Prevent Negative Child Behavior?